$30 Amazon gift card & Melissa Storm's "Love's Prayer"
Summer is over, but if you're still in need of a romance book then check out Melissa Storm. Anyone with "Storm" in their name is cool in my book, and you may recall I featured her on my blog a few months ago for Cupid's Bow. 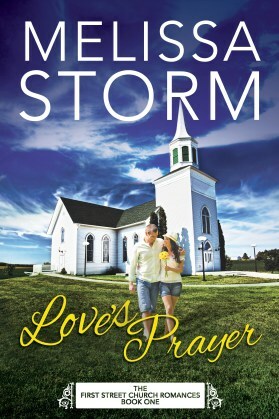 The latest release in Melissa Storm's new collection is Love's Prayer (as shown above), the first in a brand-new series of sweet and wholesome small-town love stories with the community church at its center. Love’s Prayer offers a dramatic story about two people who must find a way to believe in each other and in themselves in order to finally find the place where they belong. This novel of finding faith, hope, and love in the darkest of times. It's available as an eBook on Amazon. ...So who wants to win something in celebration of the new book release?! Melissa Storm and I have partnered up to give away a couple items. There will be two winners - one lucky Giveaway Guy reader will win a copy of Love's Prayer, and another reader will win a $30 Amazon gift card. It takes a lot to truly impress me, and Centered Peace Candles has done just that. I've always loved candles. I've worked as clinical social worker for 30 years - mostly in oncology and end of life care. I started making my own candles about 7 years ago as a way to de-stress from my work. After giving away many candles over the years to friends, family, co=workers and patients - I kept hearing from people that I ought to sell them. So I opened my Etsy shop in January 2016. 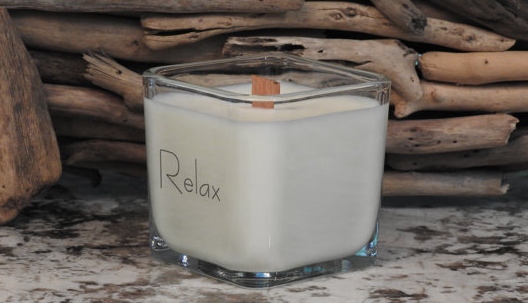 I love experimenting with different scents and I really like putting inspirational labels on my candles. I use all natural soy wax, wood or cotton wicks, glass containers that can be re-purposed or recycled and high quality fragrances. I don't use dyes to color my candles. I like to keep it as natural as possible. My goal is to eventually take a percentage of sales and give back to local charities. My company name "Centered Peace Candles" comes from a couple things. First, making candles brings such peace to me! Also to get the best candle experience you need to be certain the wicks are centered properly. Then I gave a few to a friend a couple years ago around the holidays. She said she loved them so much she used them as part of the centerpiece on her table. Thus with a few tweaks of wording, Centered Peace Candles was born. Pictured above is one of Dwayne's finest candles, the 100% natural soy wax candle, which I've had the pleasure of lighting and enjoying. The scent is bergamot, great for relieving stress. What's bergamot? It's an oily substance extracted from the rind of the fruit of the Seville orange tree. Bergamot is commonly used in cosmetics and tea, but obviously candles too. This is a 14 oz. glass container candle made from 100% natural soy wax. 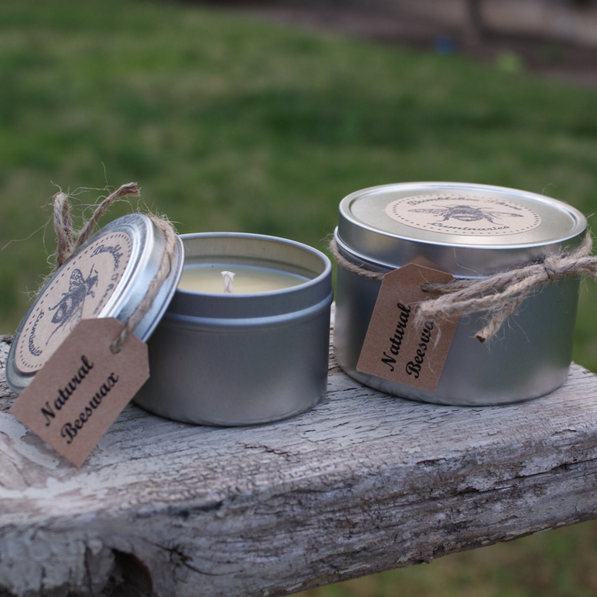 The candles are hand-poured in small batches to ensure you get the best quality. My wife is so pleased - she was running around the house looking for the best place to put the candle, and I'm pretty impressed as well. It's got a creamy type of scent to it and very soothing. Also, the glass container can be washed in warm, soapy water once the wax is burned down to half an inch so you can reuse it. You could attempt to make another candle out of it! We made homemade candles for our wedding, so that's an option. I think the Fall home brew scent is especially festive for the season as this is the time to be outside, smell the leaves, and enjoy the crisp air before it gets icy cold. What's more, Halloween is right around the corner. Wouldn't a Fall-scented candle be perfect for your home? With that said, who wants to win it?! Dwayne of Centered Peace is graciously offering a Fall home brew glass candle to one lucky Giveaway Guy reader. Ready for the weekend? This is the second weekend of Fall and the leaves are starting to accumulate in my yard. At my house we like to decorate and design with rustic things, and we found a cool Etsy shop for festive greeting cards. Kates Card Company is run by none other than Kate, based in Syracuse, NY. Her specialty is scripture greeting cards and smaller scripture cards (index card size), which can be used as bookmarks, memory aids, for devotions, or as gifts. She also offers a variety of greeting cards. The Syracuse area has few extremely large employers, but rather many smaller ones, which provides stability. Additionally, the majority of the top employers are in education or the service industry. Some time ago, Forbes actually named Syracuse "One of America's Best Places for Business." Back to Kates Card Company... Kate's story with cards started a decade ago when someone asked her to copy out a group of Bible verses for a relative in need of encouragement. She made pretty little index cards, each with a verse on it. Over time, and with more creativity, she began using the cards as gifts. Kate has shared her scripture cards and greeting cards locally with family, friends, schools, and churches, and is now sharing them on a wider scene now - you can get them in her Etsy shop! I like the Autumn greeting cards, perfect for the Fall season with vibrant autumn colors. I almost hate to send these to someone they're so cool and high quality. But they'll make a great gift and can be used for any occasion since they're blank inside. Thank you, get well, birthday, whatever you want. I'm really impressed with Kate's work, and my wife loves the design as well. 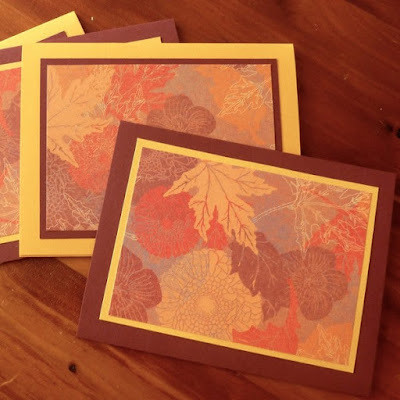 The greeting cards are made with designer paper with gold, orange and burgundy leaves matted over gold or burgundy card stock. The insides are lined with cream colored inserts which are bordered with dots and dashes. Since it's a blank inside, I can write whatever I like. I've got a few ideas. Explore the shop! 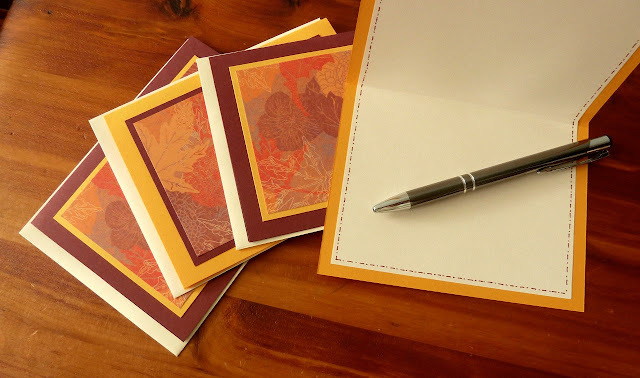 There are sections for birthdays, sympathy, thank you, holidays, and also blank cards and mini cards. My wife and I are fans of rustic stuff, and I'm fascinated with survival tactics and shows. Boy Scouts played a big part in that. Pistol Pete's is perfect for both rustic and survival enthusiasts! It's my new favorite shop. Pistol Pete’s was founded in 2013 by a couple of guys and named after Pistol Pete Moore, their rescue dog who was used as a fighting dog. Thankfully they got him out of that situation. Pete was taken in and raised by a great family of friends, and touched more hearts than most humans do. Pictured above is the Tennessee fireball candle, which fills my living room and home with the warmth and scent of cinnamon and whiskey. When you're thinking about your favorite cocktail at the end of the work day, think about lighting this candle when you get home. Pistol Pete's has evolved their craft, and in addition to candles they also offer other rustic home decor items and survival creations from antique and found material. Their favorite hang out spot with Pete and friends is the Wood Yard, a place to reflect, create rustic pieces, and come up with new ideas. I have something in common in that I like searching for dead wood to cut and split for firewood. When I'm using a saw or swinging an axe I forget about everything else. 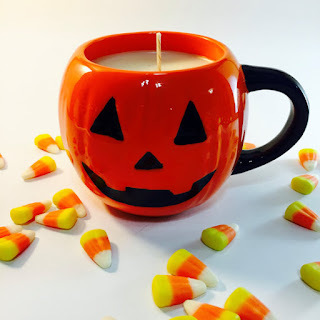 I think the pumpkin pie candle (or punkin' pie as they call it) is especially festive for the season, and Halloween is right around the corner. We've already got a couple pumpkins on our front steps and in the living room too. This hand-poured 100% soy wax candle burns clean and will make your home smell like a country pie shop. If you've ever dreamed of owning a pie shop, this one's for you! Wouldn't this mug candle be perfect for your home? With that said, who wants to win it?! 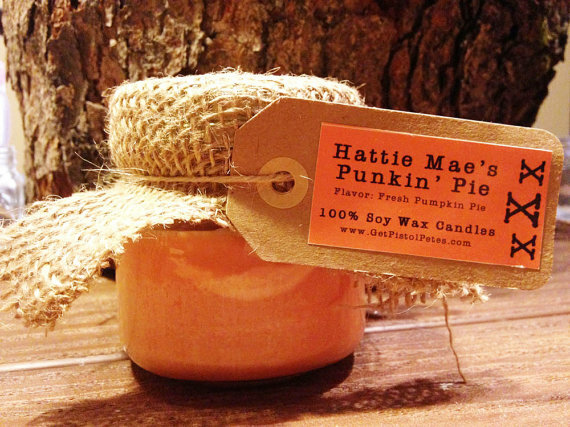 Pistol Pete's is graciously offering a pumpkin pie soy wax candle to one lucky Giveaway Guy reader. What happens when a classic rock-loving, Star Wars-obsessed, connoisseur of cheese... and a cookbook-hoarding, coffee-addicted, horror movie enthusiast meet? They get married and make candles as Bumblebee Three Luminaries! Bumblebee Three Luminaries is an Etsy shop run by Joseph and Jamie, who started down the road to create a better candle burning experience. 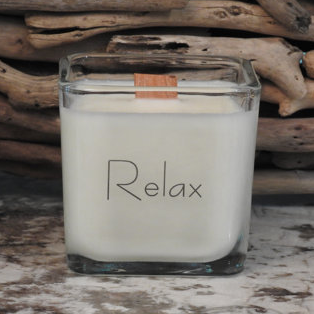 Using only the highest quality ingredients and natural waxes, the couple has formulated a cleaner burning, longer lasting, and a more awesome candle. Pictured above are the natural beeswax candles, which I've had the pleasure of lighting and enjoying. I'm a sucker for bee products, and of course the bees themselves. Bumblebee Three Luminaries' hand-poured candles are made from pure local beeswax and contain a small amount of cold pressed organic coconut oil. The coconut oil lowers the melting point of the wax to ensure a more complete burn. These beeswax candles contain no artificial fragrance or color and emit a light honey scent. It's wonderful. What kind of fragrance is used for candles in general, you ask? We use fragrance oils and essential oils from reputable companies that are Phthalate free, vegan, Non-GMO, Soy free, Gluten and Alcohol free. Our candles are formulated for the highest possible scent load that the wax will allow. To add more fragrance than the wax can hold doesn't make the candle smell any stronger, but it can cause excessive smoking. Too much fragrance can also cause the fragrance to leak out, forming oil pools on top of your candle. The special edition Harvest and Halloween mason jar candle (shown above) is scented in hayride, a unique fragrance of freshly-mowed hay with notes of sweet Balsam. This scent is combined with smooth Vetiver and Cedar wood, giving way to that fresh outdoor country air aroma. 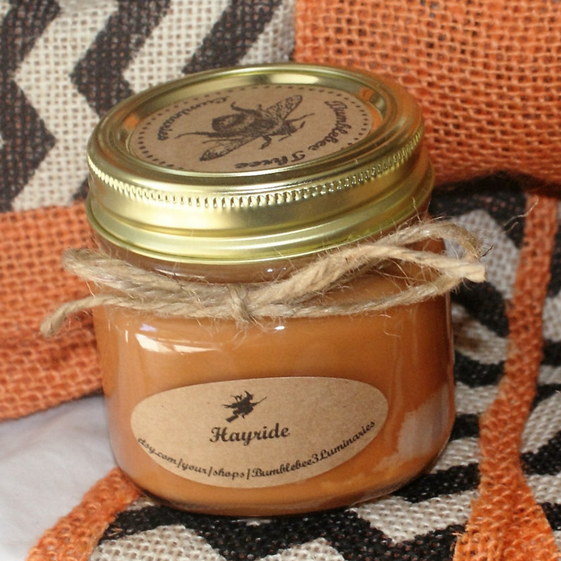 I think the hayride candle is especially festive for the season as this is the time to go pumpkin picking and enjoy a hayride. What's more, Halloween is right around the corner. Wouldn't this jar candle be perfect for your home? With that said, who wants to win it?! Bumblebee Three Luminaries is graciously offering a mason jar candle (hayride scent) to one lucky Giveaway Guy reader. Time to promote a local business in my area, which I'm always happy to do, and this one hails from a town I used to live in. Oswald and Ari is an Etsy shop run by Casey in Peabody, MA. Her specialty is hand-poured unique soy candles made in small batches. Due to its early history, Peabody is sometimes referred to locally as "Leather City" or "Tanner City," and is a major factor for the North Shore economy of Massachusetts. I lived in Peabody for awhile and it's a pretty good spot - not too far from the ocean and the city of Boston. The area's charming villages and historic seaport towns are popular with tourists, especially nearby Salem which is known for Halloween, witches, and the like. Casey has spent the past 10 years being obsessing over candles, and finally decided to make her own. She's inspired by scents that she's always loved, and enjoys developing her own based off movies, shows, and music. She's creative to say the least. 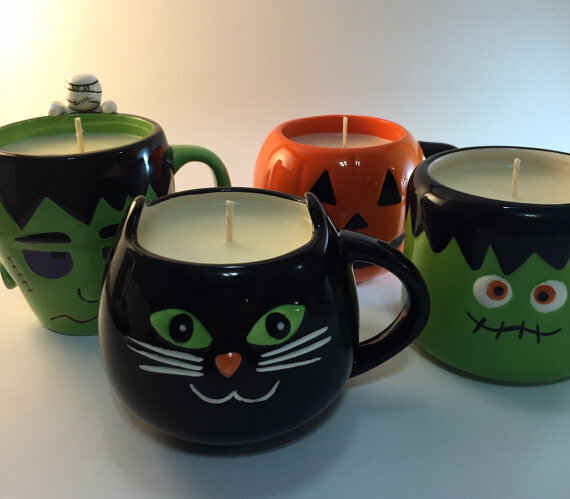 Pictured above are the Oswald and Ari Halloween-themed mug candles. Nothing says fall more than a delicious pumpkin dessert, and all of these are pumpkin souffle-scented. Pumpkin souffle is reminiscent of the best pumpkin deserts, sweet and pumpkin-y with just the right amount of spice. My wife loves this scent, and in my opinion it's got a creamy, pleasant pumpkin scent. Not like a pumpkin being smashed in your face. The reusable mug is available in Frankenstein, black cat, and jack-o-lantern. When the wax is gone you can still enjoy the mug for beverages, as a candy dish, or maybe just for decoration. I think the jack-o-lantern mug is especially festive for the season, and Halloween is right around the corner. We've already got a couple pumpkins on our front steps and in the living room too. Wouldn't this mug candle be perfect for your home? With that said, who wants to win it?! Casey of Oswald and Ari is graciously offering a jack-o-lantern mug candle to one lucky Giveaway Guy reader. We should be wary of ingredients we put on our skin, and there's a ton of great products on Etsy that are good for you. Lees Lotions in particular is a shop run by Kelly out of New Hampshire, a state that I've spent many camping trips in. It's a wonderful place. Kelly makes lotions made only from all-natural, organic oils and beeswax to assure you the skin that you're meant to feel. Kelly's products might not be pretty colors, but they hold a beautiful natural shade of gold (as you'll see below) due to lack of synthetic coloring or flavoring. There are no synthetic materials or chemicals are used in the lotions, soaps, or any other beauty accessories. The lotion is great before bed or getting up in the morning. Or just use it as a way to calm the mind and the body. Kelly suggests the best time to use this lotion is right after you get out of the shower. Your skin will quickly turn softer then you'd ever felt it before. Use it on your face, hands, wherever. 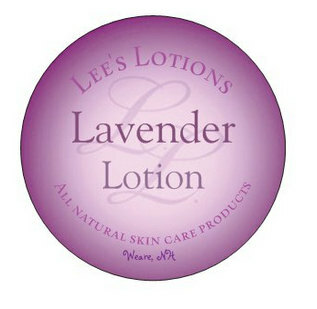 The lavender lotion has a sweet, luxurious smell of flowers, sure to envelope your senses once you peel off the cover. All you need is a small dab and the jar will last a long time. It doesn't take much to get good coverage on your skin. We should always have control over what goes on our skin, and this lotion is sure to fix your dry, cracked skin. My knuckles usually get very dry in the cold months, and with Fall here it's time to start applying this stuff. So who wants to win some lotion?! 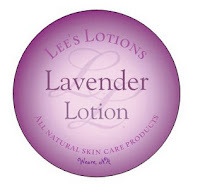 Lees Lotions and I are offering a $7 Amazon gift card and one jar of natural lavender lotion to a lucky Giveaway Guy reader. The first day of Fall is tomorrow, 9/22. Where did the summer go? Now that summer is over, I knew it wouldn't be long before we started seeing pumpkin everything. September hasn't even ended and everything is turning orange before my eyes. My wife even bought pumpkin-flavored crackers at Trader Joes today. 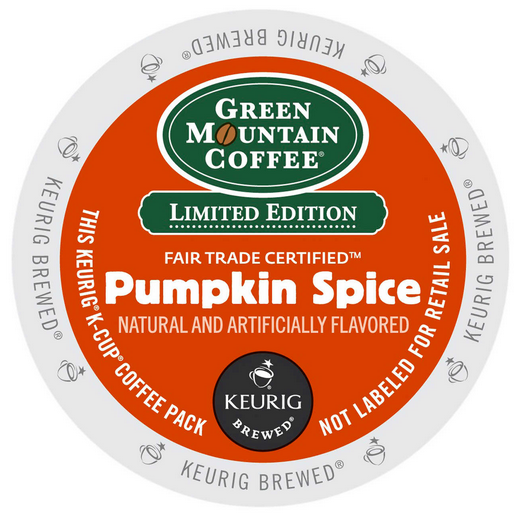 In the spirit of #PumpkinSpiceEverything, I have a box of Green Mountain Coffee to give away, and it's the pumpkin spice flavor! 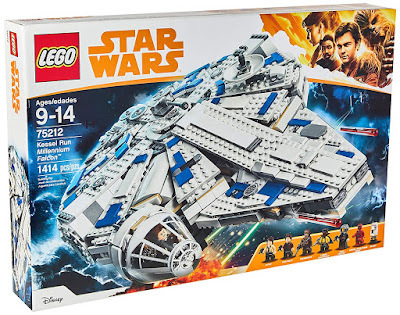 The giveaway is available to folks in the U.S. I also have a bunch of other giveaways going on, so check 'em out if you haven't already! 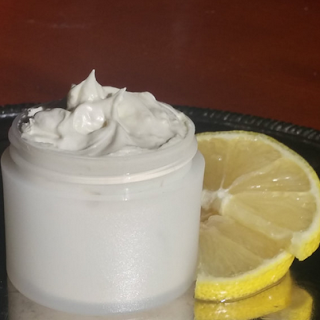 Earlier today I posted a couple giveaways for anti-aging cream and anti-wrinkle cream. With sensitive skin, I have to be wary of ingredients so I try to look for natural stuff. CLN&DRTY is an Etsy shop run by Paula, and she's committed to only creating products that are effective, luxurious, and make you feel good. She can pronounce and identify all of her ingredients and they've been tried and tested on my family. I think it's safe to say there aren't any weird chemicals used. Paula found recipes online for sunscreen made from ingredients that she knew, so she made some of her own. Two years later and she's still doing it and the business is growing too. She launched CLN&DRTY and wanted all natural products and started making effective and amazing products. We should always have control over what goes on our skin. Do you want natural, healthy skin? Check out the luxury anti-aging cream, a hydrating blend of Shea butter and natural oils, perfect for dry, wrinkle prone skin. With Fall just about here it's time to get the moisturizer out. This thick and luxurious cream aims to significantly reduce the look of fine lines and wrinkles with regular use. My wife is a big fan. The aroma is not that strong at all, which I prefer since I'm not a fan of powerful scents. Nor is it greasy much. 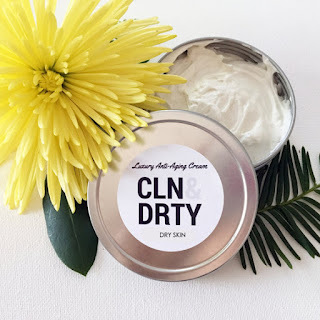 Shop with CLN&DRTY and check out the range of creams and skin care products. Paula is excited to create and share with you! So who wants to win something?! Paula of CLN&DRTY and I are offering an $8 Amazon gift card and one tin of anti-aging cream to a lucky Giveaway Guy reader. If you want to keep those pesky wrinkles at bay, look to Ancient Bath and Body for the perfect formulation. Ancient Bath and Body is an Etsy shop run by Vanessa, and she's been making her own homemade natural bath and body products for quite some time, and for good reasons. Do we really know what we're putting on and in our bodies? Vanessa said she wants to create products for everyone who wants an alternative to harmful products. Ancient Bath and Body takes old traditions and techniques, and incorporates safe all-natural ingredients in the products. This thick and luxurious anti-wrinkle cream aims to help minimize wrinkles due to age or environmental factors such as the sun, dry weather, etc. Packed with beneficial ingredients for all day moisture, the cream helps fight acne, minimizes the appearance of scars, and minimizes Eczema and Psoriasis breakouts. My wife is a big fan. The aroma is not that strong at all, which I prefer since I'm not a fan of powerful scents. Nor is it greasy much. For effective use, apply twice a day after your cleaning regimen. If you don't use this consistently then you might not see the benefits. Keep in mind that since this is a natural product, it may take some time to work. Be patient. Whether you're a man or woman who needs to fight wrinkles, give this wrinkle cream a shot and give your skin the moisture it needs. Also, this type of product will melt in temperatures warmer than 76 degrees Fahrenheit. Due to it's natural nature it will melt, so keep it stored in a cool area. So who wants to win something?! Vanessa of Ancient Bath and Body and I are offering a jar of anti-wrinkle cream to one lucky Giveaway Guy reader. This giveaway is open to users worldwide. One winner will be randomly selected via Rafflecopter, which I will contact by email after entries are verified. The winner will have 24 hours to respond; otherwise a new winner will be selected. With sensitive skin, I have to be wary of ingredients in stuff. A good place to start is on the front label. Does it say "sensitive" anywhere? Be Natural Organics is committed to providing the best organic and natural skin care. They concentrate many of their ingredients into intensive serums which provide benefits without the addition of harmful preservatives. We should always have control over what goes on our skin and into our bodies. Do you want natural, healthy skin on your face? That question is worded funny, but you know what I mean. 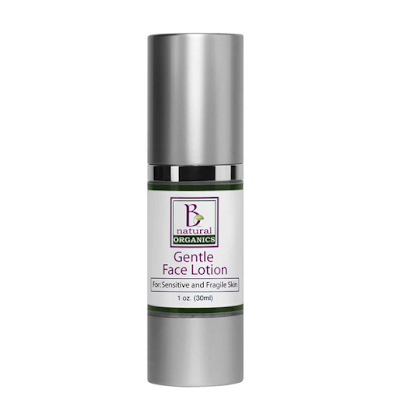 Check out the gentle face lotion, free of artificial colors, synthetic fragrances, and harmful preservatives. This face lotion is designed for sensitive and fragile skin. It won't burn, sting, or cause irritation. So far, my wife loves it and hasn't had any problems. Rich in antioxidants, the lotion helps repair damage caused from the sun. Growing up as a golfer spending lots of time on the course, Jennifer could have used this! Lightweight moisture nourishes, calms, and conditions the skin with a mild natural aroma. It's not that strong at all, which I prefer since I'm not a fan of powerful scents. Nor is it greasy much. Whether you're a man, woman, or child with sensitive skin, give this lotion a shot. Shop with Be Natural Organics and save on the best organic skin care products - lotions, cleansers, serums, creams, and more. You're invited to try offer feedback and become the voice of a new generation of skin care users. So who wants to win something?! Be Natural Organics and I are offering a $10 Amazon gift card and one bottle of gentle face lotion ($24 value) to a lucky Giveaway Guy reader. Bev's Body Bars is an Etsy shop run by who else but Bev (Yager)? She loves the math, science, and artistic expression in each soap, and designing each batch to be a masterpiece of scent, color, and sensation. Each oil, butter, and additive plays together to make each soap recipe a special experience. Bev tries to keep her products as natural as possible and you'll find essential oils in a lot of the shop's products. 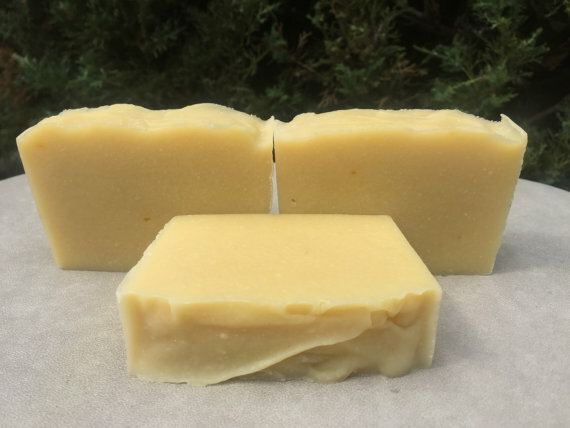 Pictured above is the honey lavender soap, a moisturizing and gentle bar of soap with shea butter for added skin-loving goodness, and suitable for all skin types. The honey lavender has a nice lavender scent (obviously), and is sweet and feminine. My wife loves it and that's all that matters. You can also smell the honey, lavender, fruit, musk, and sandalwood all in this bar. Did you know lavender has many health benefits? Some of the notables include the ability to eliminate nervous tension, nurture the skin, and treat respiratory problems. 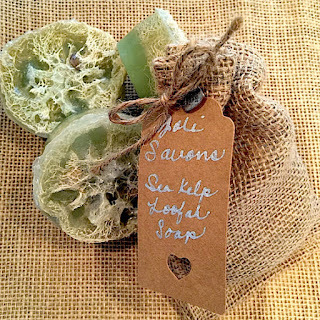 Bev's Body Bars can do custom soaps or custom orders. 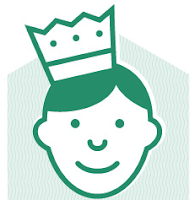 Send Bev a message to start the process or request a custom order from one of the listings. Cold process soaps take four weeks to cure. Hot process with a water discount takes twp weeks and has a very rustic appearance. Glycerin bars can be completed in a 3-5 business day period, but there are limitations to what can be done with glycerin soaps. So who wants to win something?! Bev and I are offering a $10 Amazon gift card and one bar of honey lavender soap to a lucky Giveaway Guy reader. Bev's Body Bars is offering coupon code FIRSTORDER for 10% off any order, and FREESHIP for free shipping on orders over $75. 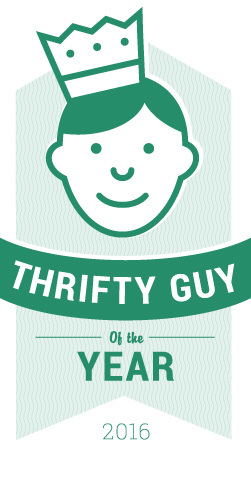 Last month Three Thrifty Guys held their first annual Thrifty Guy of the Year contest to recognize that special thrifty guy in our lives or someone we know who exemplifies thriftiness in all aspects of life. Thank you to everyone who voted for me, the Giveaway Guy. I appreciate all the votes! You better believe I love giveaways and free stuff. Unfortunately I wasn't honored as Thrifty Guy of the Year for 2016, but I was runner-up. So that's something. I left my wallet in the car when we went into a gym to play basketball. Then we went out to dinner afterwards, and I didn't realize my wallet was still in the car. Oops. I think I've paid for plenty of meals since then though! Enjoying your weekend? There's only one more before it's officially Fall. The leaves are starting to Fall and things are naturally becoming more rustic-like. At my house we like to decorate and design with rustic things, and we found a cool Etsy shop run by a couple folks that think like we do. Kountry Kreation Store is run by Jonathan & Stacey in Ithaca. Not in New York, but in Michigan! Located smack dab in the center of Michigan’s Lower Peninsula, Ithaca is the mid-point of the "university corridor" of Central Michigan University, Alma College, and Michigan State University (my wife's alma mater). Look at the underside of your right hand. Your hand now looks like the state of Michigan. Ithaca's county is pretty much the geographical center of your hand. Back to Kountry Kreation... Jonathan is a carpenter and has always enjoyed making things. I could've used his help building my woodshed last weekend! His wife, Stacey, enjoys making, painting, and decorating crafts. Together they make a talented, handy team. I feel like mason jars are becoming more and more popular to re-purpose and decorate with. For my wedding we made our own soy candles in jars, had flowers in mason jars, and probably other stuff that I can't remember (shame on me, right?). Mason jars (in coral) for the bathroom. Kountry Kreation makes cool mason jar bathroom sets. 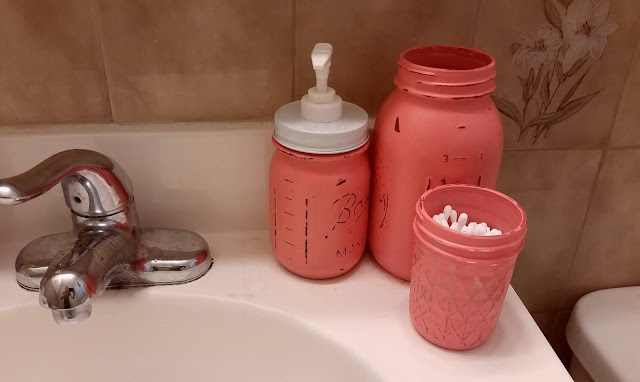 These jars are a great way to organize and some color to the bathroom. For colors they have aqua, grey, black, and white on hand but you can ask for other colors (I requested coral, which you can see below). 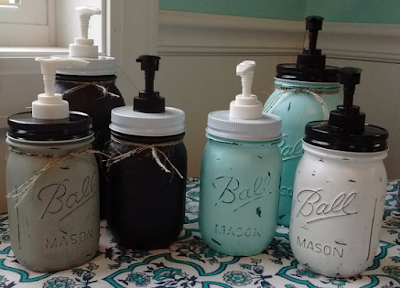 Chalk painted mason jar soap dispensers. 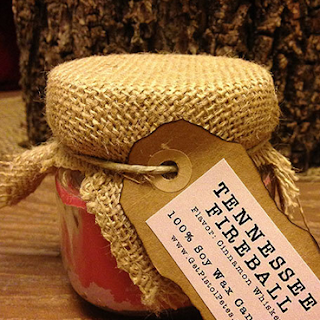 The mason jars are hand-painted with a sealer over them for a velvety feel. They're great for the bathroom, but you can use 'em anywhere really. I'm getting a lot of use out of the small jar for cotton swabs, and my wife adores the soap dispenser. Obviously the soap dispensers are ideal near a sink, and you can also choose whether you want black or white for the lid and dispenser. You can mix it up. Explore the shop for handmade, creative crafts. Jonathan & Stacey hope to create something just for you! Unless you saw my alpaca post recently, I bet you've never considered buying stuff made with alpaca fiber. 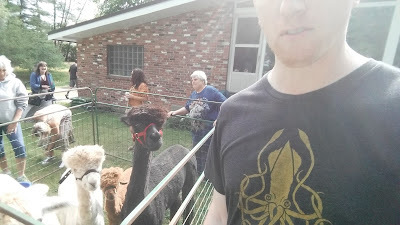 Alpacas (not to be confused with llamas) are native to South America. Maple loves working with her fleeces. She washs, dyes, picks, cards, and spins the gorgeous fleece that the alpacas grow. That's a lot of work! 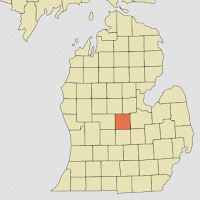 Some of the fleece is sent to Zeilinger's mill in Frankenmuth, Michigan to be made into roving. The mill also spins her sock yarn, which is then sent to Minnesota to be knit into socks. Socks, and one of Maple's horses on the beautiful farm! The top of the socks is stitched with elastic, so they stay up on your leg. The weather is cooling off finally, so I can wear these around the house comfortably. Very warm for being such a lightweight material. I can't wait to give these a test when it's below freezing and the ground is covered in snow. So who wants a pair of socks?! 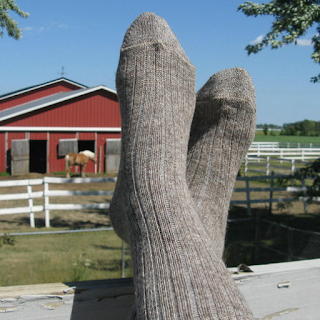 Maple at North Star Alpacas has been gracious enough to offer a pair of crew-style alpaca socks to one lucky Giveaway Guy reader. Another week, another Michigan post - the soap train will not stop! Romzek Creations is an Etsy shop run by Frances in Michigan, where she enjoys making soaps from natural ingredients that are nourishing and healing for your skin. As most soapers do, she loves all that goes into soaping, from the beginning stages of creating a new recipe to designing the finished look and feel. Frances has been soaping for a decade and learned from her Mom how to make cold processed soaps. All soaps are made using the cold process soap method, which is simply mixing oils and fats with lye until they become soap. Did you know it can take 6-8 weeks before each batch is fully cured (dried) and ready to be used? I thought it would be some kind of overnight process, but I was totally wrong. Because curing soap is the longest part of the process, a lot of thought goes into planning and preparing each batch to be ready in time for the upcoming seasons and the harsh weather conditions on our skin. 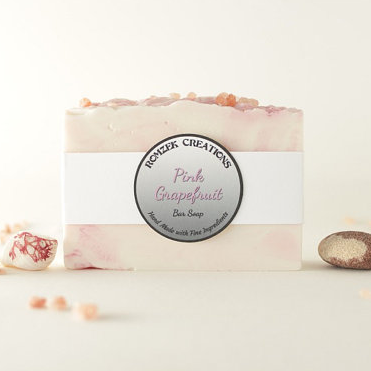 Pictured above is the pink grapefruit soap, crafted with pink Himalayan salt to exfoliate, and Shea butter to moisturize. Use this sweet, citrus scent in the morning for a great way to energize your day. The pink mica swirls sparkle on top making it almost too pretty to use - these are Frances' words, not mine. Although I do agree it looks way too nice to get all foamy and dirty. Very well made. 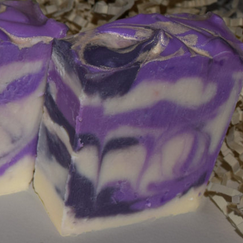 Another one I'd like to feature is the lavender soap, handmade with cleansing coconut oil and moisturizing olive oil. Made with lavender essential oil, this blossomy fragrance is bound to calm and soothe your senses. My wife swears by this scent. Did you know lavender has many health benefits? Some of the notables include the ability to eliminate nervous tension, nurture the skin, and treat respiratory problems. The Latin name of lavender is Lavare, which means “to wash," due to the clean aroma. To make your soap last even longer, store it on a dish or out of direct contact with water when it's not being used. The soap will disintegrate if it sits in any water. If you ever have any questions about Frances' products, she encourages you to ask! So who wants to win stuff?! Romzek Creations is graciously offering 4 bars (pink grapefruit, lavender, vanilla mokalata, and lemongrass) and 4 lip balms (mystery scents) to a lucky Giveaway Guy reader. Time to promote a local business in my area. Joli Savons is an Etsy shop run by Wendy in my neck of the woods - Boston, MA. Making only the finest natural skincare products (by hand), these products are formulated for all skin types and ideal for those prone to dryness and eczema. Joli Savons products are entirely composed of natural, organic ingredients, and developed in a sterile environment that's allergen- and contaminant-free. Wendy avoids using artificial additives, irritants, synthetic substances, perfumes, parabens, chemicals, or harmful preservatives. It's safe to say the handmade soaps in particular are pretty safe. Furthermore, if any colorants are used, those are skin-safe too. Products tested on animals are not used and most items are vegan-friendly except for items containing honey or beeswax (which OK by me since I love bee stuff). Pictured above are the French macaron soaps, which are the featured product of this post and I'm giving away a set! The macarons of Paris and New York inspired Wendy to make these beautiful, mini soaps, each individually scented. These soaps are made with goat's milk and scented lavender, chocolate, orange, pear, rose, and almond. Please DO NOT EAT THESE and keep 'em out of reach of kids and pets. Another soap you should check out is the sea kelp loofah soap, a fresh Aloe Vera glycerin-based soap that's lightly scented with sea kelp fragrance. If you live by the ocean this would be perfect to keep within arm's reach. But for those of us who don't have the luxury of living by the water, close your eyes and the scent will sweep you away, leaving your skin feeling fresh, soft, and revived. 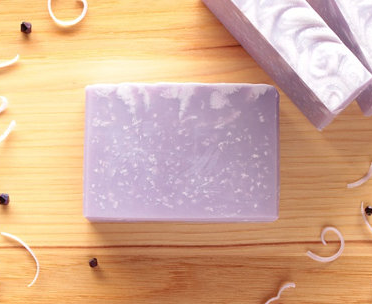 One last thing - you can get the most out of your handmade soaps by treating them with care. Don't leave it sitting in water, and instead place it in a dish or on a ledge. So who wants to win something?! 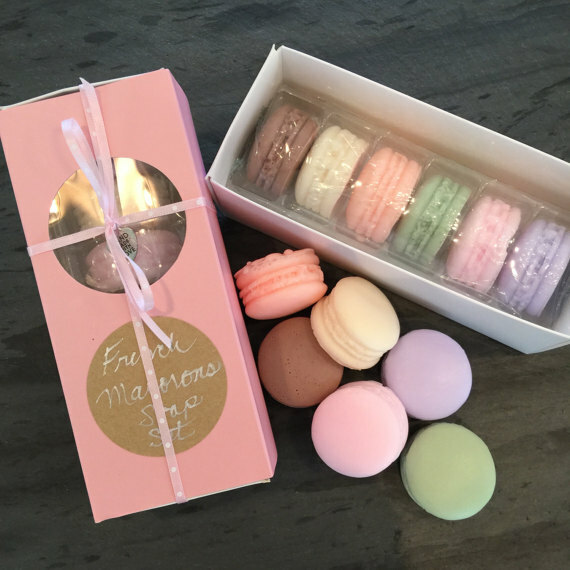 Wendy of Joli Savons and I are offering a $10 Amazon gift card and a set of French macaron soaps to one lucky Giveaway Guy reader. Enjoy your Labor Day weekend? For those of us on the East coast, we endured some wind, rain, and hurricane Hermine. Good thing I've got soap for all the rain. 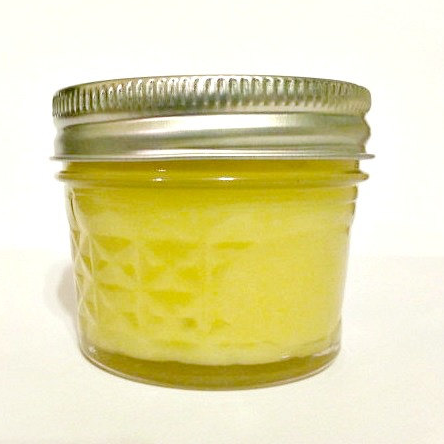 Lotusbtr Body Care is an Etsy shop run by Tanissa in Detroit, Michigan. Detroit is known for being the motor city, but did you know it's home to the only floating post office in the United States? The J.W. 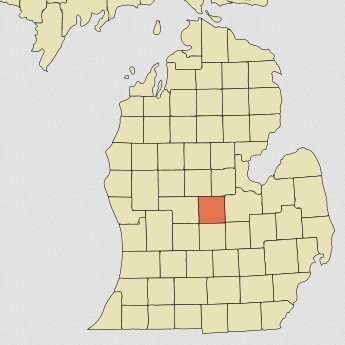 Westcott is a full-fledged post office and earned the world’s first floating zip code, 48222. Check it out in action below! Back to Lotusbtr... Tanissa has always had a passion for helping others. With her 'Body Care for a Cause' movement, each purchase in her shop will contribute 20% to the Soul Project, book scholarships for inner city youth. With your help, we can change our communities! Do you like cider? 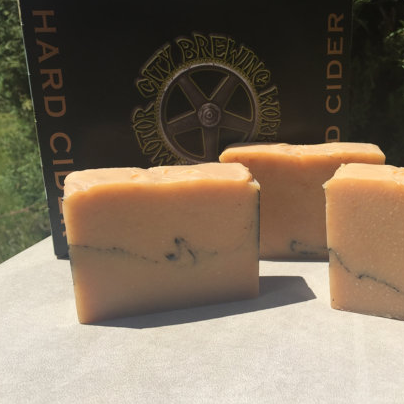 Pictured below is the Motor City Cider soap, made with locally-brewed hard cider. Yes, hard cider. Alcohol adds luxurious foaming properties, and foaming is obviously good for soap, and it also help break down bacteria in the skin. To enhance the skin healing properties of the cider soap, raw organic honey is added. I love raw honey products, and it's a natural humectant. What's a humectant? It absorbs moisture from the air, so in this case honey helps retain moisture in your skin. You'll also see a little stripe of activated charcoal in each bar. And then we have the Sweet Three Peat soap, an unscented handmade soap made with coconut milk and a triple butter, gentle and moisturizing. Cocoa, shea, and avocado butters come together to create a powerful team. Where does the "sweet" part come in? 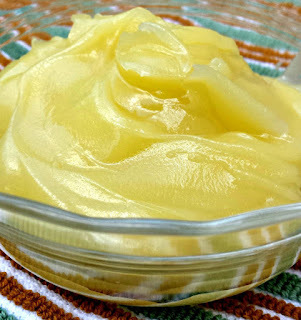 Sweet potato puree is added, and you might be interested to know that sweet potatoes are a good source of vitamin A (in the form of beta-carotene). They're also a good source of vitamin C, manganese, copper, pantothenic acid, and vitamin B6. Explore the shop for handmade goodies for your skin. Tanissa hopes you enjoy her soaps as much as she loved making them! Natrapel insect repellent - keep the mosquitoes away! I can barely stand to be outside if the bugs are bothering me. I made it through Boy Scouts with plenty of mosquito netting, bug spray, and energy to run around. Now that we have a cool fire pit in the backyard, bug spray is a must at nighttime since we live in a wooded area (not to mention by the water). Natrapel has saved the day! I've had the pleasure of enjoying our fires and keeping the mosquitoes away thanks to this DEET-free repellent. We've all heard it - what is DEET? It's a toxic pesticide that's commonly found in bug repellent obviously. It's so poisonous that even the EPA (Environmental Protection Agency) says you should wash it off your skin when you return indoors. If it can kill an insect it probably shouldn't stay on your body too long! 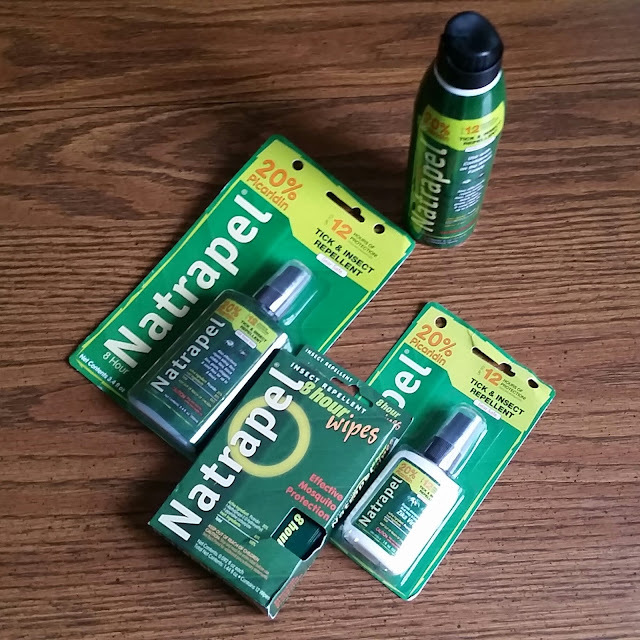 Natrapel is a DEET-free insect repellent that really works, providing 12 hours of protection from mosquitoes, ticks, and other biting insects, thanks to it's CDC-recommended 20% Picaridin formula. Picaridin is the only formula that consistently shows equal or better performance than DEET. Even better, this repellent is completely safe on clothing and gear. I have not had any issues. And for the fishermen out there, it won't melt fishing line or other synthetic materials. I like the continuous spray in particular, which delivers even, continuous spray without releasing harmful aerosols. Check out the Natrapel store and see which product might fit your lifestyle.